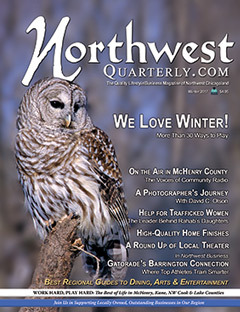 Want to find your own copy of Northwest Quarterly Magazine? You can find one at any of our advertising partners, listed below. You can also sign up for a subscription ($29.95 per year) by calling (815) 316-2300 or emailing subs -at- northwestquarterly.com.